If you’ve ever noticed a light red sky after a snowfall, you have seen the Albedo effect. Albedo measures the reflectivity of the Earth’s surface. The whiteness of the fresh snow reflects away the greens and blues while allowing the highly concentrated long, red wavelengths to pass through to your eyes. This altered spectrum results in stunning red, pink, and orange skies. 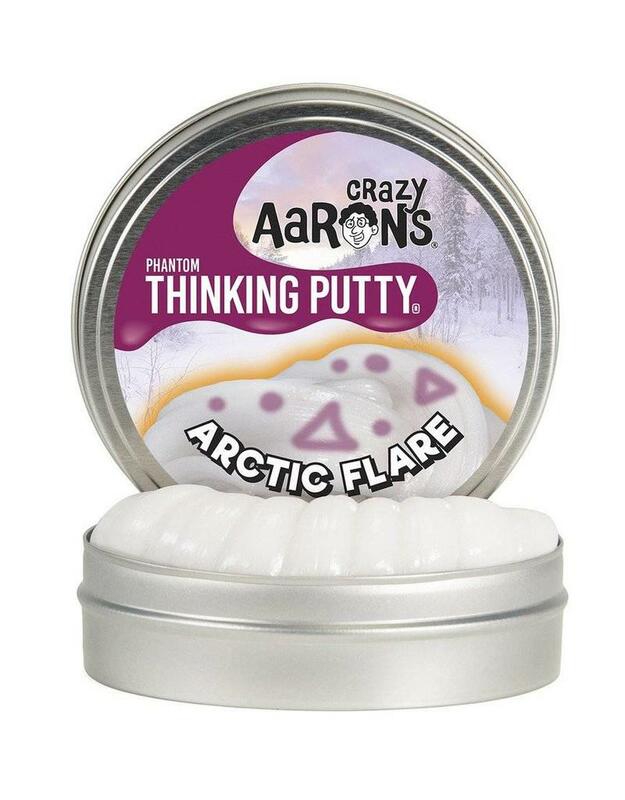 Emulate this fire and ice scenario with Arctic Flare Thinking Putty. Shining white putty gives way to magenta with the included Glow Charger™ and glows amber in the dark.